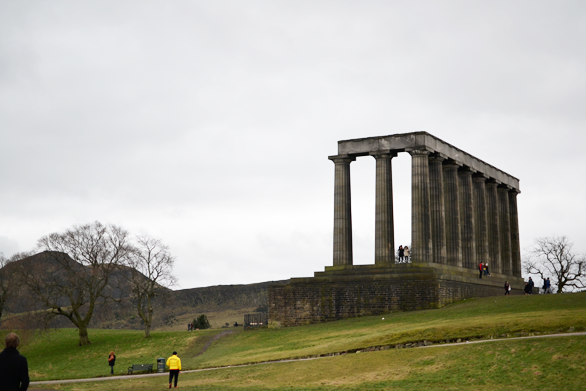 Even though it is the number one tourist spot in Edinburgh, Calton Hill was only the very last thing we did while we were in Scotland. 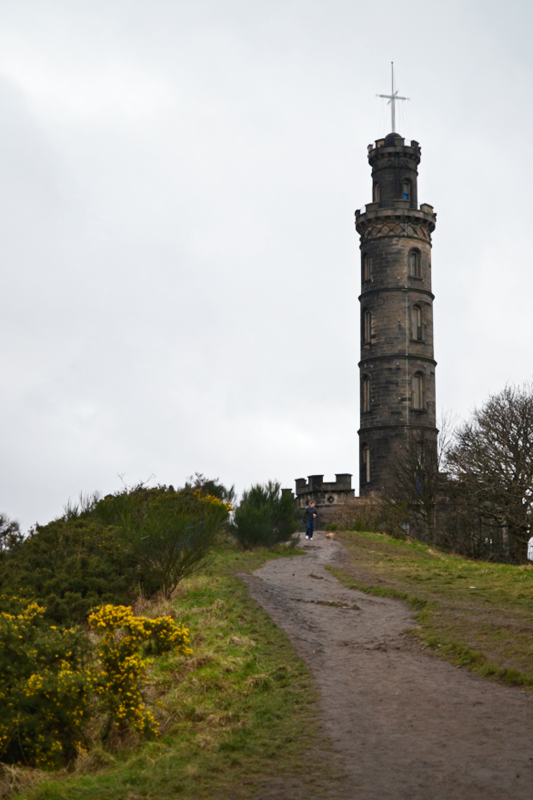 The threatening clouds in the photos are what kept us to wait until the very last day to climb up the hill. 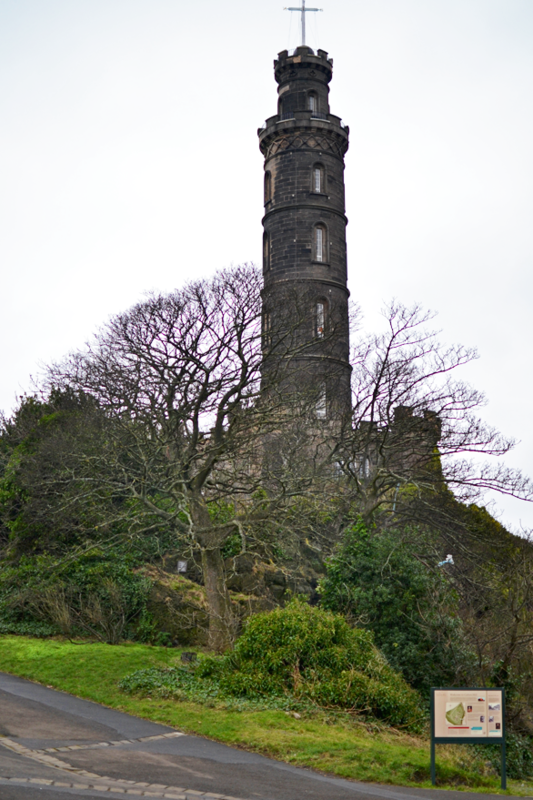 We preferred to visit Arthurs Seat and the botanic garden on the better days, but I really didn’t want to leave the city without having enjoyed the amazing views from atop Calton Hill. So, with the possibility to be rained on and literally get blown off the hill, we ventured up there on our last evening in town. 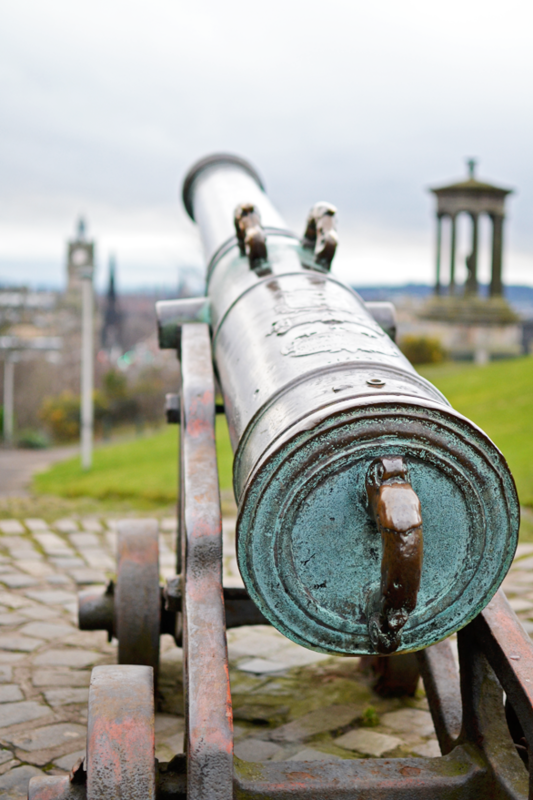 Calton hill lies just off the end of Princess street and offers an amazing view over the whole city. It was fun to stand up there on our last day and point to all the places we had been! 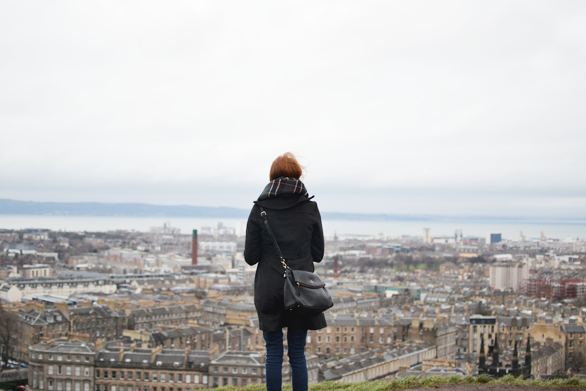 Because it was drizzling, we had the entire hilltop almost to ourselves. 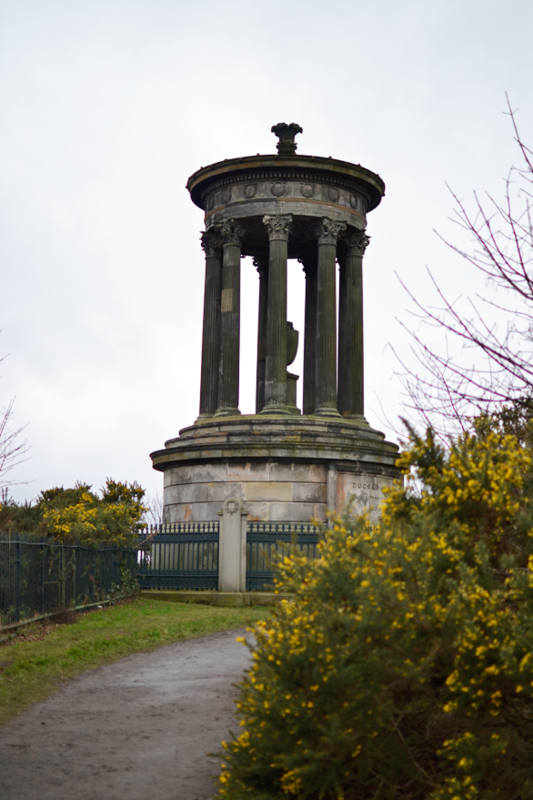 I climbed up the National Monument and took a few hundred photos of the Nelson monument and the bright yellow Gentista bushes that brought life in the grey and bare surroundings. 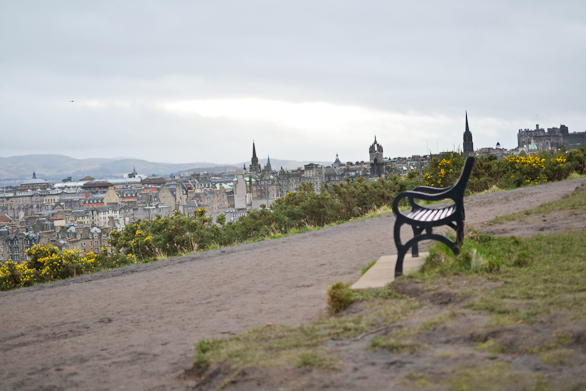 If the weather had let us, we would have brought a picnick and watched the sun set from one of the many benches overlooking Edinburgh, but alas, we’ll have to return for that! As if we wouldn’t return anyway. 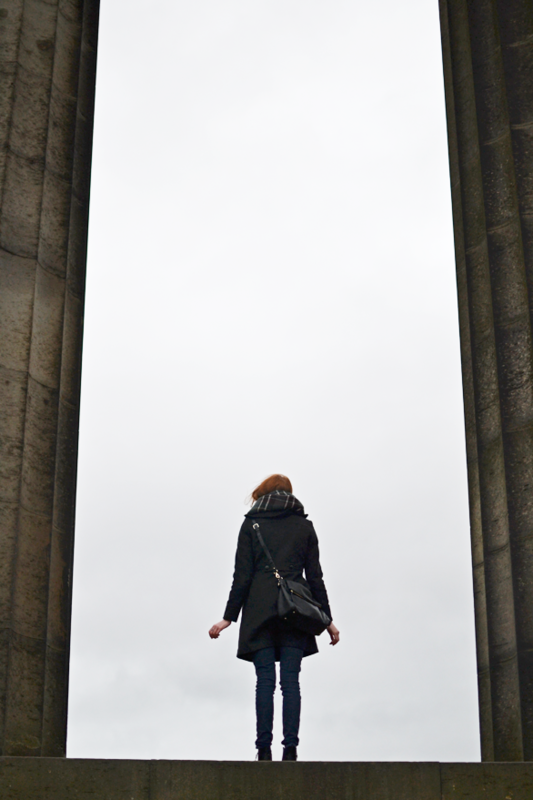 PS: There was a German man with a bright yellow michelin-type coat photo-bombing about all of the photos I took on Calton Hill. I left one in the above series. Care to play “where’s Wally”? What a view! Looks like a majestic location! Gosh these pictures are gorgeous. I’m a bit jealous of your trip. I really need to make my way to Europe! Beautiful! Worth the risk of rain! these photos are stunning! the ones from the back are nice shots 🙂 also loving your new profile picture ! Wat een prachtige foto’s! Ik zou zo graag ook eens gaan, Schotland lijkt me zo prachtig! gorgeous photos! love all of your adventures! You take the most amazing pictures! 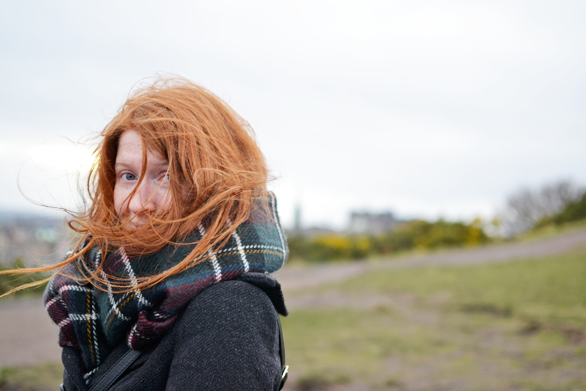 I love that picture of you with windswept hair! So lovely! 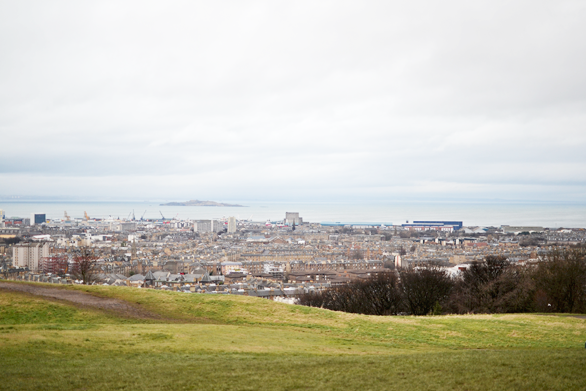 Love all these windswept scenes. Thanks for sharing your travels with us! Mooie foto’s! Ik wil Schotland ook eens bezoeken! 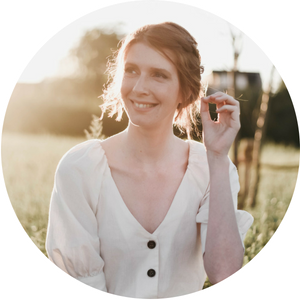 Die foto’s Nikki! Just wow. 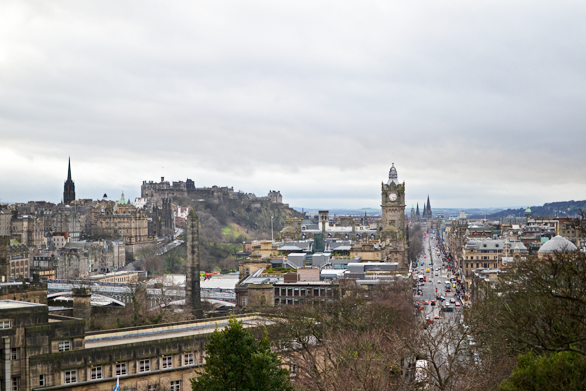 Edinburgh staat echt al lang op men travel list!